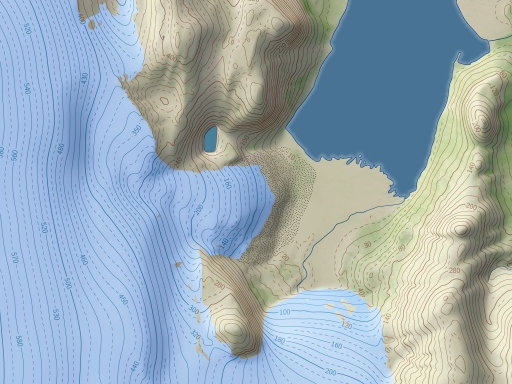 Relief data is now using shape-from-shading techniques on the whole map area to provide additional relief details. Quality of this is somewhat variable since availability of suitable images is very limited. 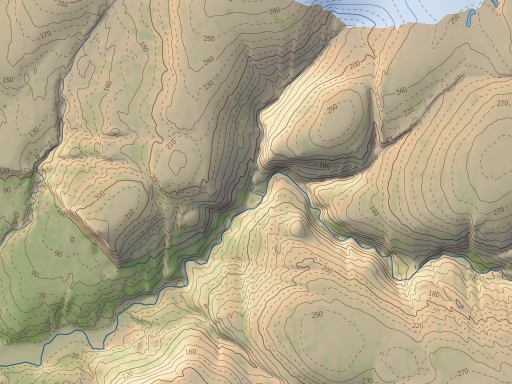 Map data has in parts been updated based on 2014 images. 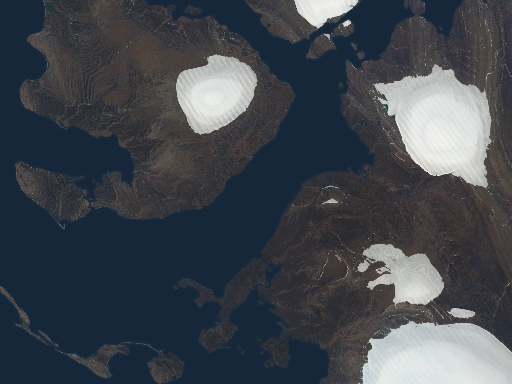 The satellite image layer is updated using new images as well. 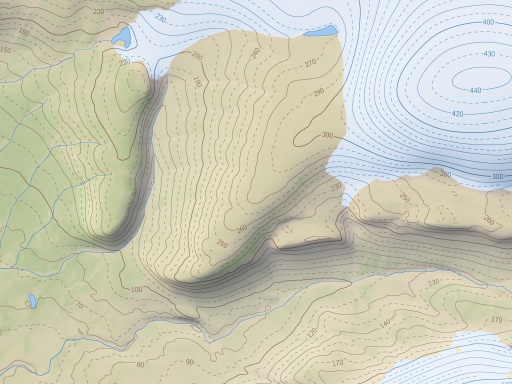 I am using an individualized dot pattern for rendering moraines – only very few have been mapped though. There is an additional layer with a new map style.